Curtin Malaysia is the largest international campus of Western Australia’s Curtin University. It is a globally-focused tertiary institution with more than 4,000 students from more than 45 countries. Highly-qualified teaching staff from some 15 countries further strengthen its international outlook. Students are offered flexibility in completing their degrees where they can study part of their degree at the main campus in Perth or Curtin’s Singapore campus. 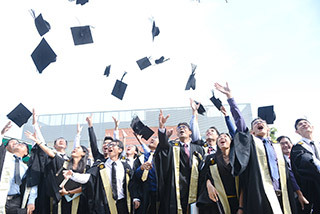 Studying at Curtin Malaysia not only ensures graduates a world-class Curtin degree and the practical experience required to further their careers, but through accreditation of the courses offered, recognition of their qualifications both nationally and internationally. Like its Australian parent, Curtin Malaysia is recognised for its practical research. The campus continues to rapidly ramp up its already strong research capacities. This includes the development of a RM50 million Bio-technology Centre and the new RM20 million Faculty of Engineering and Science building with facilities for teaching and postgraduate work to meet the particular research needs of government and industry. 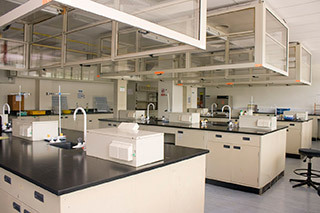 Since its establishment in 1999, Curtin Malaysia’s Faculty of Engineering and Science has experienced exponential growth in its enrolment of courses under its Bachelor of Engineering programme. While its flagship chemical, civil and construction, computer systems, electrical power, electronic and communication, mechanical and mechatronic engineering courses continue to attract greater numbers of students, newer niche courses in petroleum engineering and environmental engineering are also seeing a growing demand. Meanwhile, its Faculty of Business joined the world’s elite business institutions following approval of accreditation by the AACSB (Association to Advance Collegiate Schools of Business) of its parent Curtin Business School (CBS) at Curtin University last year. It is the first university in East Malaysia and one of only 14 in ASEAN that is AACSB accredited. Having AACSB accreditation adds value to the Curtin qualifications that students earn at the Faculty and opens doors for more international collaboration. Curtin Malaysia offers courses in engineering and related sciences, business and humanities at undergraduate and postgraduate level, as well as foundation courses in engineering and science, business and arts that feed directly into its undergraduate programmes. All courses are identical to those offered at its Australian parent. 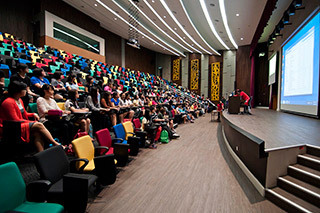 Curtin Malaysia continues to create new learning spaces equipped with the latest technological advances in teaching and learning such as distributed learning technology to support active student learning. These new facilities complement an already extensive list of campus facilities, including a modern library, state-of-the-art laboratories, computer labs and learning spaces, food and retail outlets, health centre, secure student housing and a range of sports and recreational facilities. Aiming to produce graduates of the highest calibre, Curtin Malaysia encourages student learning and development beyond the classroom by providing students a variety of leadership roles through various student clubs and student development programmes. In addition, its partnerships and strong links with government, industry and community further enrich the learning experience of students and ensure their skills and expertise are aligned with the changing demands of today’s world. IChemE Award for Innovation and Excellence under the Petrochemical Processing category at the IChemE Malaysia Awards for Innovation and Excellence 2014. In 2014, Institution of Electrical and Electronic Engineers (IEEE) conferred the IEEE Region 10 Larry K. Wilson Award to electrical power engineering graduate Esther Ling Pi Ya, the first Malaysian to win such an award. In 2015, four final-year chemical engineering students won the 2015 APAC-EMEA (Asia Pacific, Europe, Middle East and Africa) Honeywell UniSim Design Challenge award. Curtin Malaysia students also excelled in the 2014 challenge, topping the Asia-Pacific region, a first for a Malaysian team and group entry. In 2015, petroleum engineering students Lim Kean Chuan, Teh Ean Nee and Lee Yong Ler won the 2015 Scomi Mud Innovation Challenge, beating teams from the UK, Philippines, Cambodia and Indonesia. In 2016, Eleanor Wong Shi Ee, a Bachelor of Commerce (Accounting) graduate was among 11 Malaysian graduates who were conferred the prestigious Malaysian Institute of Certified Public Accountants (MICPA) ‘Excellence Award for Best Accounting Graduate 2015’. Engineering courses are accredited by the Board of Engineers Malaysia (BEM) and Engineers Australia (EA), such as the Bachelor degrees in Chemical, Civil & Construction, Computer System, Electrical Power, Electronic & Computer and Mechanical engineering. The Chemical Engineering course is also accredited by the Institute of Chemical Engineers (IChemE), United Kingdom. Accredited or recognised business courses, meanwhile, include the Bachelor of Commerce single major in Accounting, and double majors in Accounting & Banking, Accounting & Entrepreneurship, and Accounting & Finance by the Institute of Chartered Accountants Australia (ICAA), CPA Australia, Malaysian Institute of Accountants (MIA) and Malaysian Institution of Certified Public Accountants (MICPA). An Australian national, Professor Jim Mienczakowski joined Curtin Sarawak in July 2013. In his prior position, he served as Executive Director of Higher Education and Vice Chancellor of Emirates College for the Advancement of Education, Abu Dhabi in the United Arab Emirates (UAE). Professor Mienczakowski has a Bachelor of Education degree from University of London’s Institute of Education, a Master of Arts from King's College, London, and a PhD from Griffith University, Queensland, Australia. He also has a Dip CSSD from London University’s Central School where he studied in the early 1970s. He is an experienced academic administrator, having held senior positions in universities in Australia, including Foundation Dean of Education and Creative Arts, and later, Deputy Vice Chancellor (Academic and Research) at Central Queensland University, and Deputy Vice Chancellor (Research, Industry and Community) at Victoria University. With a strong background in education, having taught in Australia, the UK and the West Indies, his teaching and research interests reflect a broad and interdisciplinary approach to research. Having published extensively in the areas of qualitative research theory and methodologies, social sciences, ethnography, health education, schooling and performance, his published works also include a number of ethnographically informed theatrical plays. Professor Mienczakowski is on the editorial and advisory boards of a number of journals including Sage’s Qualitative Research. Professor Mienczakowski leads a team of over 300 staff members (with a current enrolment of about 3,500 students from over 40 countries) in order to take the highly-acclaimed Curtin Sarawak campus to the next level. His focus will be to capitalise on the significant and excellent work already achieved in Curtin Sarawak by his predecessors and to further internationalise both Curtin Sarawak’s identity and its student intakes. Curtin Sarawak’s strong emphasis on providing student focussed learning and supporting students throughout their programmes and early careers are elements of university life he is keen to develop further. 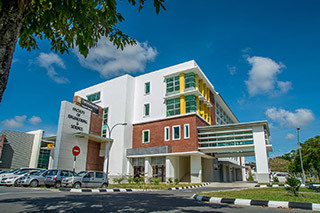 Growth of Curtin Sarawak’s national and international research capacities and achievements will also play a big part in his plans for the Miri campus but so too will enhancing the total student experience, providing students with richly interactive and personalised learning experiences, effective new teaching and engagement approaches and equipping them with leadership skills for the future. In addition, through high-impact research in areas of strategic importance, Curtin Sarawak seeks to deliver outcomes of significant value to the local and regional communities. “Being recognised and respected as leading in research and education is very much part of Curtin’s global mission. Curtin Sarawak must also contribute to that recognition and to the rich and diverse fabric of Malaysia’s rapidly developing higher education environment,” he said. It’s been two years since I first arrived at Miri Airport and a Curtin Sarawak staff member brought me to my campus accommodation. Since then, I have been very pleased with how things have gone for me here. I have found the academics here to be outstandingly professional and organized, and along with a very healthy learning environment on the campus, have made my coursework enjoyable. The numerous extracurricular activities provided by at the university and the various student clubs have also helped me enjoy campus life here. Joining Curtin Sarawak has not only enhanced my academic standards but has also helped me realize my creative talents and improve my leadership, organization and communication skills. 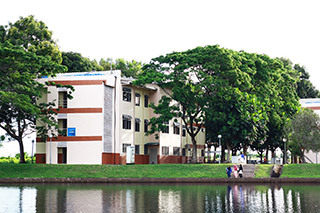 International students would find themselves at home at Curtin Sarawak. It is fun to study at Curtin. There are a lot of activities which students could get involved in. Various clubs have been set up in the university mainly to help students to socialise with each other and in addition, improve one’s social skills. I am an active member of Curtin Volunteers! and Students Council. Over time, such activities helps to build one’s self-confidence. Interaction among students gives a more homely feel and eliminates homesickness as there is a bond being shared by the students regardless of their nationality. The small lecturer-student ratio allows more interaction and one-to-one discussions between student and lecturer. Lectures go uninterrupted as the attention span is more focused. The love, care, respect and support we got from all the staff, management, lecturers and the Miri residents were unprecedented.It motivated me and my family and brought a huge relief to my parents. At least now they know that their sacrifices did not go down the drain. My parents have been more proud of me than they have been before and just recently my father confessed to me that he came close to tears of gratitude at the way we were treated, the awards I received and the speech I made and the whole stay in Malaysia. The conduct of the African students was as if they had seen their own parents and this left an impact on my parents because they have always talked good about the student life at Curtin as the standards of good behaviour. Coming to Malaysia meant a great shift in events for me and perhaps has played a key role in shaping me into who I am now. Often I have heard of Malaysia as a country with lucrative tourist destinations, it is only when I came here that I got to see it up close. A welcoming feeling was immediate. I suppose the best hospitality I have ever come across in all my travels has to be attributed to Malaysia. My decision to study in an international university here was governed mainly by the cost involved. While my friends who left to study in Europe struggled to make ends meet working part time, I am delighted to say that this has been less of an issue here. Shawn was from Curtin Bentley Campus in Perth/>, Australia/>/> before deciding on coming to Curtin Sarawak Campus. “I had little knowledge of Sarawak/> but I was attracted to come here. My biggest surprise was the remoteness of the place and the “night life” of cosmopolitan Miri. It’s a definitely good cultural experience.” Shawn was also amazed at the exceptionally high standard of teaching in the campus here, which he describes as comparable, if not better than in Bentley. “For the simple reason that the number of students per class is small, the teaching is therefore, very personalized, making it easier for me to interact with the lecturers,” said Shawn.